Zimbabwe has offered a reminder of what really bad monetary policy can do. On June 11, its central bank said it would implement the government’s policy of eliminating the national currency by exchanging Zimbabwe dollars into U.S. dollars at a ratio of 35 quadrillion to one. The 35,000,000,000,000,000 number is high, but it actually understates the currency’s dilution of value. 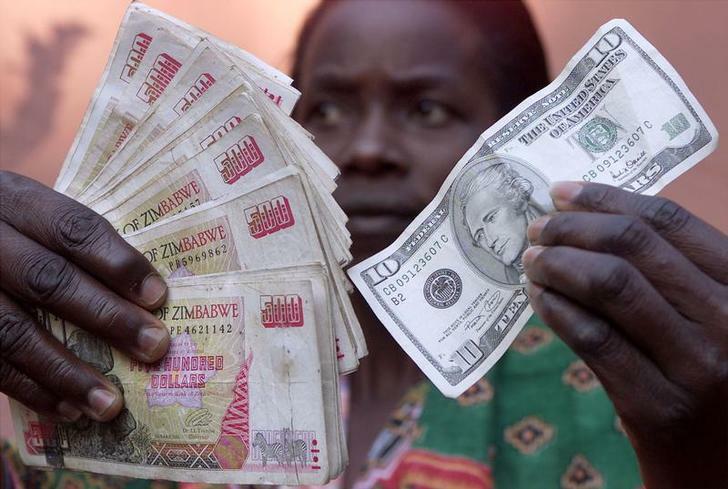 The Zimbabwe dollars which are being legally demonetised – in practice the country has relied on U.S. dollars and other currencies since 2009 – were already a new denomination. In 2008, one new Zimbabwe dollar replaced 10 billion of the old ones, issued only two years earlier. Zimbabwe’s true hyperinflation rate, therefore, has 25 zeroes. Zimbabwe’s mirage-quadrillionaires are witnesses to its monetary disaster. Harare is the new Weimar. Just as Germany created money to pay for reparations after World War One, Zimbabwe President Robert Mugabe used newly created cash to spend well beyond the government’s means. The Zimbabwe example was frequently cited by opponents of central banks’ quantitative easing programmes after the 2008 financial crisis. Surely, they would say, this is the first step on the road to ruin. The real and far more instructive lesson is quite different. It takes truly exceptional incompetence to create hyperinflation. To get there, Mugabe and his central bankers had to mess up government finances, economic policy and foreign relations. They had to keep going when the failure of their policies was painfully obvious. And they had to have no effective political opposition to restrain them. In most corners of the world, deflation is currently a far bigger concern than inflation, let alone hyperinflation. The typical central banker has to worry about having too little power to influence wages and prices, not too much. Governments do have the capacity to create Zimbabwe-style hyperinflation through deficit spending, but that requires far more excess than any halfway decent political system will allow. Economist Milton Friedman once said that inflation is “always and everywhere a monetary phenomenon”. That may be technically accurate, but it misses the point about hyperinflation, which is always and everywhere political. A Zimbabwean holds a ten U.S. dollar bill and the black market equivalent. The Reserve Bank of Zimbabwe announced on June 11 a plan for “demonetisation” of the Zimbabwe dollar. The currency has not been used in the country since early 2009, but until now remains legal tender. The central bank said that bank account holders and walk-in customers will receive a minimum $5 of U.S. currency for every 175 quadrillion Zimbabwe dollars handed over.